This vegan salad-in-a-jar has a smoky flavour from the grilled vegies and added protein from the kidney beans. The Grill and Chill Salad recipe – which makes four servings – comes from food blogger and photographer Jackie Sobon’s Vegan Yack Attack: Plant-Based Recipes for Your Fast-Paced Lifestyle. Grill and chill kind of sounds like the perfect descriptor of summer, no? In this salad, you’ll be using your grill to impart some smoky flavour onto some of my favourite veggies, then turn them into a beautiful jar salad, complete with protein from kidney beans and crisp texture from mixed greens. Heat your grill to roughly 190C. Grill the radishes, capsicums, corn ears, and red pearl onions for 5 to 7 minutes, flipping halfway through, or until the vegetables are tender and grill marks are visible. Remove the vegetables from grill and spread them out onto a baking sheet. Refrigerate for 45 minutes, or until chilled. Move on to the dressing while chilling. In a small bowl, whisk the olive oil, lemon juice, nutritional yeast, dried basil, and salt vigorously until combined and creamy. Divide the dressing between four 710ml jars, then top with kidney beans. Cut the corn from the cob, and chop the large capsicum pieces. Place them in a mixing bowl with the zucchinis, radishes, and pearl onions. Toss together until combined. Top the kidney beans with grilled vegetable mixture, and lastly, top with mixed greens. Close each jar with a tight-fitting lid. When ready to serve, gently shake the jar to coat everything with dressing, then empty into a bowl. Serve chilled. Salad jars will last up to 1 week in the refrigerator. 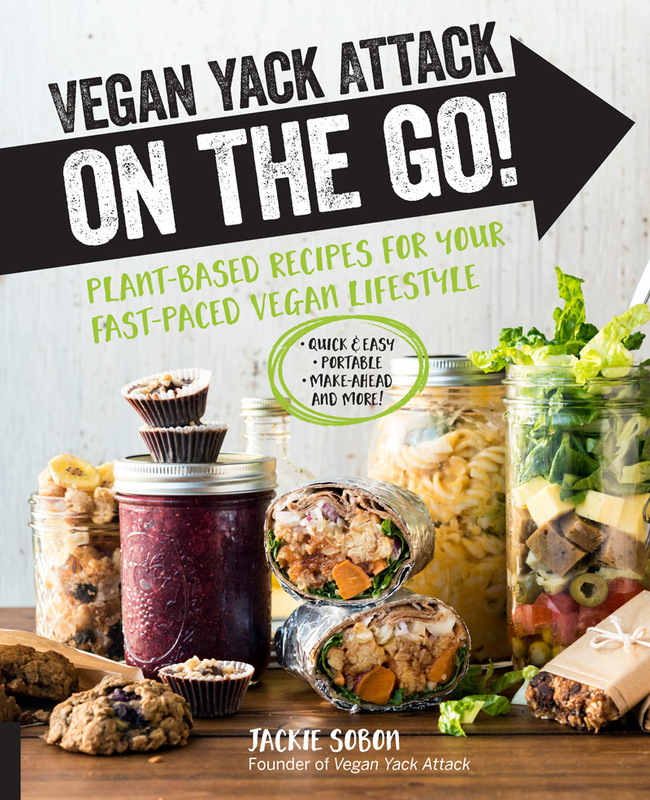 Image and recipe from Vegan Yack Attack On the Go! by Jackie Sobon, Murdoch Books, RRP $27.99. Photography: Jackie Sobon.